You have installed one of our extensions on your website and you have some ideas about the functionalities that we could add to our components and modules? Don't hesitate tell them to us! Dedicated topics have been created in the forum, Give us your comments in order to have the extensions that you WISH! We are working actually on a photo gallery component for Joomla: NeoGallery. There are many galleries but most of them lack of functionnality and adaptability. 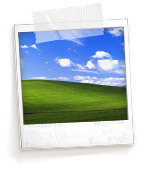 To propose a complete solution, we invite you to post your ideas in order to develop the best photo gallery! We propose to you two demo websites: one for the templates and the other for all extensions. The templates Demo will allow you to see all the designs that we propose with all of their designations! The extensions Demo permits to test frontend functionlities of our modules and components but also to see how to manage them in the backend! If you want to use the administration of the extensions demo, it's here. Don't hesitate to use the forum if your have questions concerning components, modules or templates. NeoRecruit - Your recruitment component! NeoRecruit is a recruitment component. It enables you to propose job offers or internships. These offers are classified in various categories and are allotted to a recruiter. It is not simply a system which presents the offers, it makes it possible to recover the CV and the covering letters the applicants. Those are stored in the database. 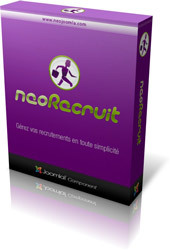 NeoRecruit is a commercial component, compatible with Joomfish and delivered with a module.